>He’s Gone. Just Like That. It’s true, he’s dead. A 28-year old guy with a wide future right in front of him and a little girl to look after. When I first heard of the news, I could go for the Hollywood cliche and believe it had something to do with drugs. But, drugs? I’m not into reading about celebs’ personal lives and scandals, so if it has ever been something of the sort related to drugs and Ledger in the past, I have never really heard of it. So, then I thought, “it could have been a murder, couldn’t it?”. Desperate for news, I left the comfort of my warm bed and turned on my computer at 01:30am: so there it was, some sort of “medicational” drugs lyed down around the unconscious body. Should I finally conclude everyone famous, from rock stars to movie stars are doing some sort of drugs in at least one point of their lives or during all of it? The difference is there are those we’re pretty aware of what they do (Think of Lindsay, and think how her career could be a lot better as well) and those we just don’t have a clear idea or any idea at all. Why can’t most of them (at least the talented and promising ones) behave like… Natalie Portman? Is Hollywood a playground of drugs and free booze that it makes it impossible for starlets and young actors to refuse it? In Ledger’s case, it seems like it was something given by his doctor (just like it was with Marilyn Monroe), therefore it’s even weirder for me to realize he was going through a troubled or depressed phase? It just didn’t look like. I saw him twice in the movie theaters last year, first in Candy and more recently in Bob Dylan’s unconventional biopic I’m Not There. And for Christ’s sake, wasn’t he in a new Batman movie that is opening sometime in 2008, as The Joker? I shouldn’t be this naive, as times are so different. We’re not in the early 1960s, Hollywood makes us no longer believe in beautiful, endless young and nevertheless, perfect stars that live perfect lives doing perfect things. Star System is forever dead, and that’s not news. For more shocking Ledger’s death may represent to me, I can only image how harsh it was for movie fans, cinefiles and general people at those times, when the tragic death of James Dean and later on, Marilyn Monroe was announced. I guess my shock has to do with a River Phoenix (1970-1993) sort of shock, who died from an overdose in a LA night club runned by Johnny Depp, my fav actor and who was also a long term drug user in the past. The question is… Why? At the moment everyone is speculating about it. I don’t even wanna think in a suicide possibility, but then, an accident. And even so, wasn’t it possible dialing 911, fighting back? Did he just give up, closed his eyes and surrended? Heath Ledger made me weep as Ennis Del Mar in Brokeback Mountain, he made me remind of a young Brando in this actor’s best times and he also made me believe of a bright movie career ahead. I have never felt sorry at all over the death of old artists, especially those who no longer work and who dedicated their entire lives to their art; and I can’t avoid thinking how ridiculous it is for people who mourn over such deaths, sometimes artists who they barely knew as concerning the artist’s work (!!!). Not every death is supposed to be bad, though all deaths are still hard for the ones who suffer the loss (And trust me, I’m not just saying it, I’ve been there). A parent who loses a child will suffer differently from a child who loses a parent. The death of Ingmar Bergman (to name one that also died recently) can’t be compared to this present case right here. First of all, this is a guy I truly know, I’ve seen his films from teenager romantic comedies to the most recent ones, I’ve followed his bad flicks, the great ones, the disposable actings and the breathtaking ones. And the fact he’s abruptly gone… Oh jeez. I can’t even say R.I.P. However, I envy those who truly can. 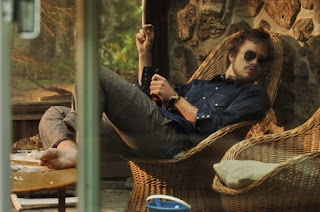 Photo: Ledger as one of the countless Bob Dylan’s personalities in I’m Not There. >Mais 1 q se vai jovem, no auge do sucesso, só espero q se confirme q não seja suicidio, ou problemas com drogas! >Romeika, que belo tributo o seu. Eu ainda não consegui processar direito essa notícia. O paralelo com River Phoenix é correto porque, assim como River, Heath era um talento profundo e que tinha muito ainda para nos dar.Heath Ledger teve uma carreira relativamente curta, mas marcante. Era um ator versátil, de performances intensas (como a de "Candy") ou de performances mais sutis (como a de "Brokeback Mountain"). Isso vai viver para sempre e o grande legado dele foi ter tocado tanta gente com sua arte.Em momentos como esse, só consigo pensar naqueles que sobrevivem, especialmente na filhinha dele, que, todos são unânimes em dizer, era a maior alegria da vida dele. >I saw this on the news in the morning, and at first thought it must be someone else- it didn't seem likely to be the guy who was my teen crush from 10 Things I Hate About You. But it's just unbelievably sad, his ex-fiancee must be heartbroken, and I don't even want to imagine how his parents must be feeling. I'm also feeling bad for his little girl. >It really shocked me as well, it just seems so surreal and unexpected. >Talvez nunca fiquei tão chocado com a morte de uma celebridade. Quero dizer, estou chegando aos vinte anos e até agora não tinha visto algo tão triste em relação a morte de astros. Nesse sentido, o paralelo com o Phoenix é mais do que certeiro. E seu último parágrafo está maravilhoso, é exatamente isso que penso. Resta ver seus trabalhos em "Não Estou Lá" e o novo "Batman"…Abraço. >Adorei o que você escreveu! É mesmo muito triste. ~Eu adoro todos os trabalhos dele, ele era um ótimo ator! >Hugs Romeika. It's sad how many people ruin their lives with drugs (IF that is what happened). You see it over and over again, how dangerous it is. Sad. >Oh heath, how could this happen to you? >Damn, it's sad. More, it's depressing. An incredible actor and a person with so much to discover as he so simply puts it. Maybe, hopefully, he's in a better place.Ciao! >Ele era muuito talentoso, amei ele em brokeback montain, simplesmente inesquecível…sobre as sandálias de westwood, eu gosto…talvez eu não compre, mas acho que os trabalhos em plástico são legais porque os sapatos têm salto e não apertam nem machucam os pés…eu tenho duas melissas, vira e mexe estou usando-as…acho que essas sandálias são boas especialmente para climas frios como onde vc mora com um bom par de meias-calça :)muitos beijos e bom dia! >i kno, im still very shocked and saddened my this news. i was speechless when i heard – it was just so unexpected – he was a brilliant actor! >wow when i first heard it i thought it was some extremely sick joke, but then i checked online and everywhere from perez hilton to BBC was polluted with the heartbreaking news. i still cannot fully comprehend it- he was so young, so talented, full of so much potential, a new dad, and as far as i knew had no major issues. but of course all of his troubles will come out of the woodwork- eerie morbid quotes are already surfacing. still no matter how many prescription drugs they find in his apt I still can't imagine never seeing him in another film again, except for batman (where apparently his mental deterioration begun) and really i love this new franchise, i was super excited to see it, i dunno if i can go anymore, it's so harsh. RIP heath and good luck to matilda and michelle (can you imagine never knowing your father? or poor michelle who always seems too in her own head enough already, apparently she is completely silent right now, god) RIP HEATH! >Thank you guys for sharing your thoughts and concerns, I identify myself to every single comment left on this post. Now that the sudden shock is gone and I'm lucid again, I understand at least the reason why I was/am so consternated. I guess it all has to do with a taciturn cowboy whom vulnerability touched me deeply, and it happened to be in a moment of my life which I could relate myself to his feelings.. I remember coming from the theater and writing right on some now dead blog/flog of mine: "I'm so in love with Ennis Del Mar right now". I guess I never stopped loving him. >Thank God it's really bothered someone else, too. All of my friends think I'm being ridiculous for caring so much, but I just can't explain why I can't get over his death.It's just so wrong and unfair, it makes my heart ache.